Is this the mystery striker on trial at Tranmere? There was a new face involved in Tranmere’s final two pre-season friendly matches last week in the form of a striker on trial. 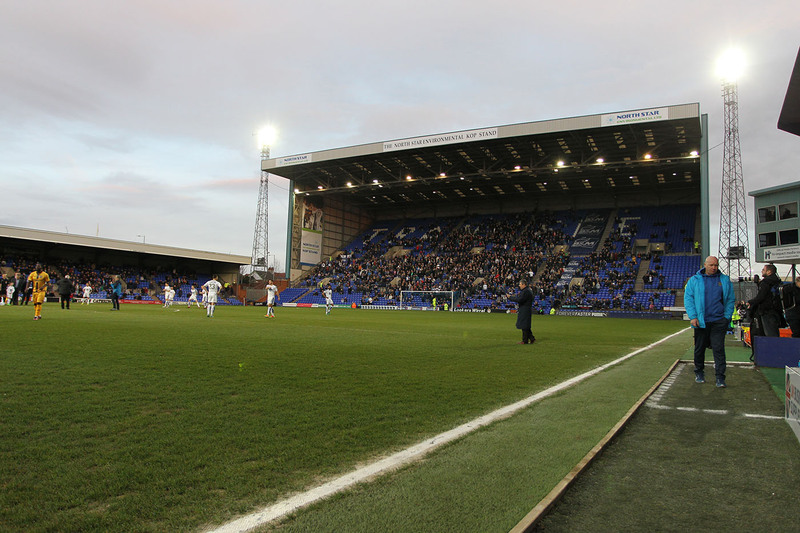 No clue has been given – publicly at least – to help identify the mystery striker that featured first at Chorley and then as a second half substitute against Rochdale at Prenton Park on Saturday. Those at Chorley last Tuesday will probably agree that the player did very little, however, did offer more of a threat in his cameo appearance on Saturday. He saw a looping header and a close-range shot saved by the Dale keeper, while also showed glimpses of quality running with the ball. If we’re brutally honest, many trialists have come and arguably offered more in recent seasons, only to be shown the door. But Mellon appears keen on the powerfully-built front man and is set to keep him around for training this week. And why not, we need a striker or two! According to a poster on thecowsheds.co.uk forum, the forward may be young Nigerian-Italian player Franklyn Akammadu. A quick Google search suggests it’s highly likely to be him. So, what do we know about Akammadu? Well, not much. He’s most recently played for Prato in Italy’s Serie C/A where he spent a time on loan last season, playing just a handful of games. He’s also had a loan spell at Fermana, but that was terminated in January of this year to allow him to make the move to Prato. His parent club was Cesena, whom he has now left. He’s a free agent, on the lookout for a new club and presumably keen to try his hand in the Football League. Aged 19 and standing at 5ft 11in, he probably does not initially fill the criteria of a target man that we are apparently so desperate for, but those who saw him play will agree that he is certainly a strong player with considerable upper-body strength. As a young player, Akammadu spent time at Fiorentina but never got near the first team despite having been a mainstay in the under-17 team in Florence. • While at Fiorentina, Akammadu sprung to prominence as one of the star performers at the annual Torneo di Viareggio. This is one of the most important youth football competitions in Italy and takes place each year in Tuscany. It’s attended by the biggest clubs in the country and Akammadu starred for Fiorentina in 2016. • In his own words, he is quoted as saying he prefers playing as a central striker but has also played in a deeper playmaker role as well as out wide. • Upon joining Cesena in 2016, he started the season with a run of five goals in five games for Cesena Primavera; the youth team. During that 2016/17 season, he scored 17 goals in 22 games. • He was twice named as a substitute for Cesena in Serie B, making his debut at that level in a match against Verona. • His favourite player and role model growing up was Samuel Eto’o. • Akammadu grew up supporting Inter, and was once ball boy during a Fiorentina vs Inter Milan game in Serie A. • He was born in Padua, Italy, to Nigerian parents. So, if this is indeed our man, maybe Micky is right to give him some more time to make an impression. With Rovers now able to name seven matchday subs, don’t be surprised if he signs a short-term deal to be involved at the weekend. UPDATE: We are now fairly certain this is the trialist in question. Several Tranmere players feature among his followers on social media! Will Rovers re-sign Carlisle United striker Stockton?